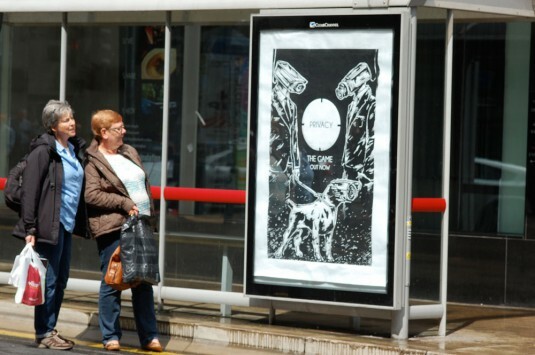 Since Brandalism’s first campaign in the summer of 2012, the anti-advertising movement has been picking up momentum. 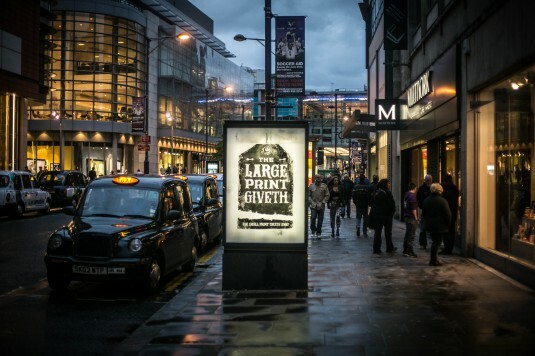 Their screen printed work can be seen around the UK, replacing corporate advertising messages with work that analyses commercial culture, politics and social injustice such as the recent Mark Duggan case. 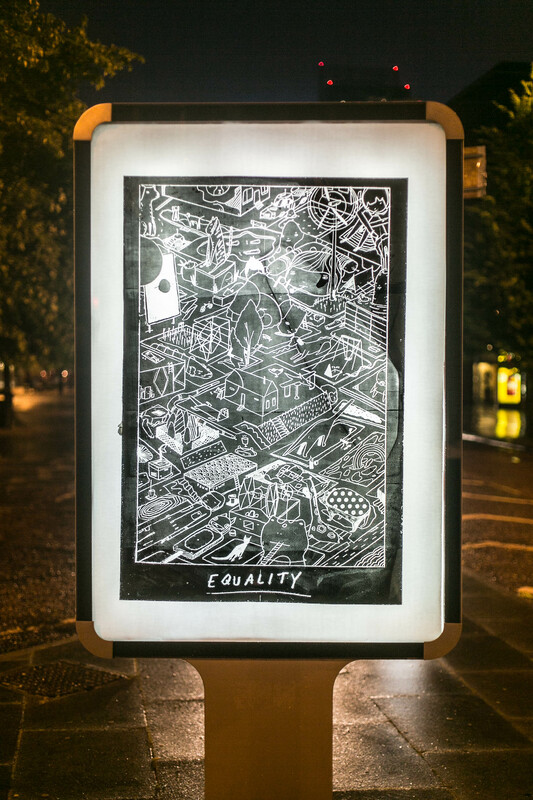 In May 2014 – and with teams spanning over 10 cities – the collective reclaimed 360 advertising spaces with original artwork created by 40 artists. They have also recently produced a short film documenting the gang at work — showcasing tools of the trade and the production of the featured artwork. While realities of global inequality coming to the fore, stats such as the richest 85 people across the globe share a combined wealth of £1tn – as much as the poorest 3.5 billion of the world’s population have now become common news fodder. And from Thomas Piketty and his recent establishment rocking book Capital, to Russell Brand’s The Trews, the contextualisation of the global recession, the commercial landscape and its impact are coming under increasing scrutiny – with the public-at-large gradually connecting the dots between renegade bankers, failed economic policies, the 1% and a lack of jobs and opportunity. None of this bodes well for the future of advertising in its current guise, not to mention the disrupting effects of new millennial behavioural patterns and habits. 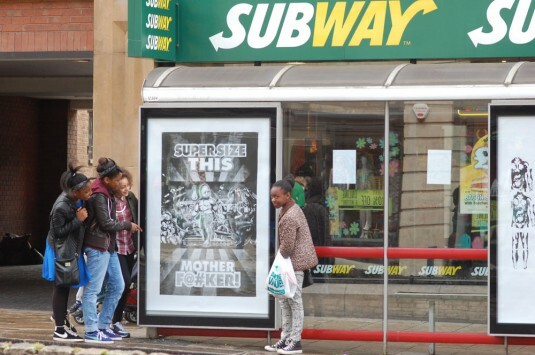 In the current social-economic environment the Brandalism ideology looks set to grow. Just like the process of gentrification, in-coming change always starts with the artist / artisan.